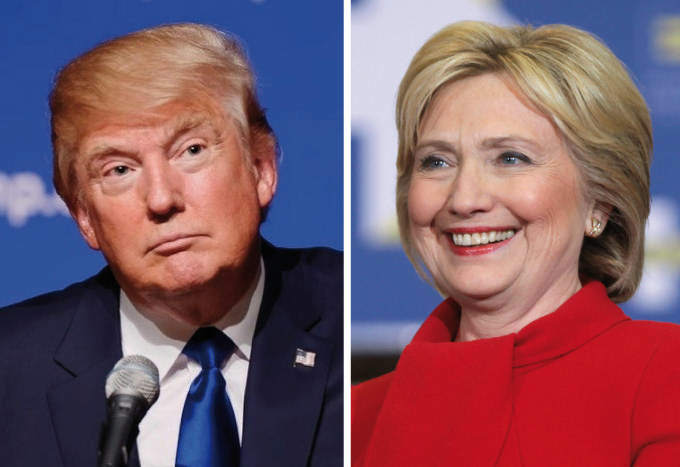 UNIVERSITY OF CALIFORNIA, BERKELEY’S HAAS SCHOOL OF BUSINESS–Does listening to Donald Trump’s or Hillary Clinton’s opinions humanize them to voters more than reading their opinions? A new study examining people’s reactions to those with differing political views and found that when they watch or listen to those with opposing opinions, rather than read about them, they tend to view them as more thoughtful, competent, and rational–that is, more human. The study, “The Humanizing Voice: Speech Can Reveal, and Text Conceal, The Presence of a Thoughtful Mind in The Midst of Disagreement,” is the work of Juliana Schroeder, an assistant professor at UC Berkeley’s Haas School of Business, who studies how different communication mediums influence people’s beliefs about a communicator. Her co-authors are Michael Kardas and Nicholas Epley, both of the University of Chicago. In the first experiment, 322 participants watched, listened, or read one of six communicators’ opinions about controversial political and social topics–war, abortion, and music–that they either supported or opposed. Participants dehumanized the communicators with whom they disagreed more than those with whom they agreed; however this tendency diminished when they heard the same opinion via voice rather than via the transcribed speech. A second experiment tested whether the same effect held true for communicators’ own written speech. Eight communicators discussed which candidate they supported in the 2016 presidential election on videotape and in writing. A group of 575 participants observed the opinions in four formats–video, audio, transcript, and written text–and rated each presenter. Once again, observers dehumanized communicators with differing political beliefs, but their responses were more favorable when they saw or heard the speech being presented than when they read the speech. The results were consistent whether listening to male or female voices. “Giving the opposition a voice, literally, enables partisans to recognize a difference in beliefs between two minds and may reduce the negative perceptions that lead to conflict,” says Schroeder. Similarly, in their paper, “Mistaking Minds and Machines: How Speech Affects Dehumanization and Anthropomorphism,” recently published in the Journal of Experimental Psychology, General, Schroeder and Epley found further evidence of the humanizing effect. Three experiments found that text communication makes the communicator seem less likely to be genuinely human, perhaps computer-generated, whether the text is generated from an actual human or a computer. In a fourth experiment, studying the varied nuances or cues of the human voice–tone, pace, pitch, and volume–helps explain why speech is humanizing. Actors delivered speeches (written by others) in varying voices, from a “mindful” voice infused with natural emotion and intonation to a “mindless” voice in which the words were read without feeling. When listening to the messages read without feeling, participants deemed the communicators as mindless, robotic, and not human; the same effect occurred when participants read the message themselves. In today’s text-driven world, Schroeder says her findings may be cause for concern.